What are you going to say? Family, friends, health, this food… surely those are all a given. But what about all the technology that got you to this moment? 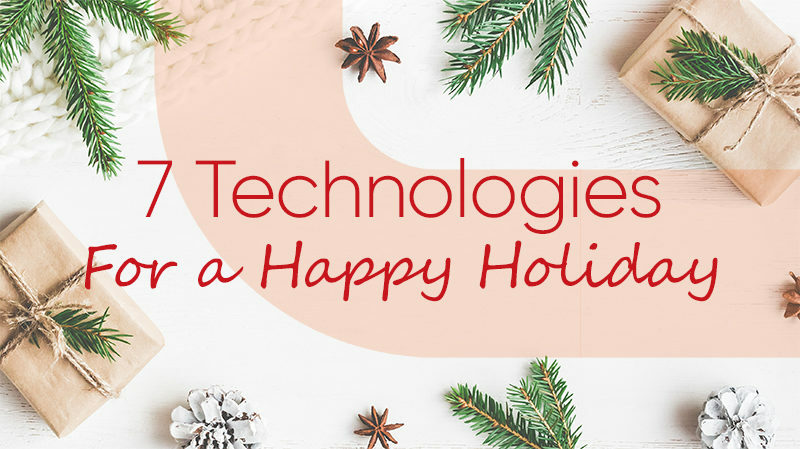 What technologies have made your holiday happiest? ’Tis the season to give and give thanks. With Thanksgiving a few weeks behind us and more holidays quickly approaching, we thought it’d be a perfect opportunity to highlight and reflect on seven technologies that have changed the way we operate as human beings… and IT professionals. And if you don’t already have them, it might be good to add them to that holiday wishlist! Prodigy, AOL, and – more recently – Google have changed our language, our brains, and the way we think and collaborate. They’ve set the stage for social media and transformed the way we use email. But most evidently, they empowered people everywhere to step into shoes that sometimes feel way too big. Can’t answer the tough ones like “How to tie a tie” or “Where to find network equipment solutions?” No problem! LMGFTY. Until 1973, there wasn’t a single recycling program in the United States! Now with more than 8,000 programs nationwide, “going green” has become a common goal for manufacturers, restaurants, and even IT companies like Curvature. By buying, refurbishing, and reselling equipment, Curvature reduces e-waste by over 3 million tons per year! That’s a technology we can stand behind. It’s no surprise that smartphones have taken over as the mobile device of choice for nearly everyone in the world. They’ve replaced your alarm clock, camera, calendar, and have even provided you with a personal assistant (Hey, Siri!). But aside from all those features, these little devices put real IT power in your pocket. From requesting a quote for data center hardware maintenance to being more powerful than the computers used during the NASA Apollo mission, this tech does it all. Those little micro machines we mentioned? They would be a lot less useful if they had to rely on local storage and processing. Enter cloud computing, where data sorting and storing can be done on a remote server. We have no doubt that most companies are already migrating something to the cloud. We’ve been personally on-hand to help! Isn’t it crazy to think that dial-up internet was still a thing only 15 years ago? “… Beep-Beep-Beep. Chcck…” And all would be lost if someone picked up the landline during the dial-up. The internet touches our lives every single day. If you are reading this, your job most likely exists because of the internet. From social media, holiday shopping, and concerns around Net Neutrality to simply catching up on your favorite tech blog, the internet is arguably one of the greatest sources of information (and misinformation) in history. Of course, this is by no means an exhaustive list. What technology is bringing you happiness this holiday season?